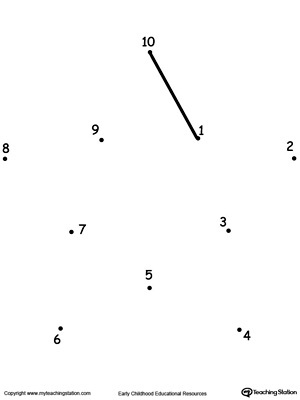 Did you do “dot to dot” puzzles as a child? I remember doing them as far back as kindergarten. Teachers used them as a way to teach numbers. The easiest ones were from 1-10 and the resulting pictures were simple. There were no details in the final image, just a big shape, like a ball, or an outline of a cat’s head or a house. But its spare lines still told everything you needed to know. The same way kids know when something is off kilter without understanding why. We all have memory fragments and we think it is a mystery why our brain retains them. Sometimes. But I’ll argue that we hang onto them because there is an intense emotion that goes along with the pieces. Maybe we’ve forgotten the emotion – or buried it – but there’s a reason. When we adopted our three children from orphanages in China, we worried that early deprivation would affect their brain and social development. Like what? Like lack of physical contact, poor nutrition, limited attention to basic needs which all have an effect on how the brain gets wired and will determine how a child responds to a variety of life situations. The simplest example, and one that is not uncommon in children adopted from orphanages, is that the child does not cry when hurt or hungry. Conditioning taught them it produced no results so they stop. Likewise, when kids are exposed routinely to stress and chaos, their brains become wired to quickly respond to threatening, stressful situations. Even after the threat is gone the brain may act as if the stress is still there. Some memory fragments are remnants of stress. I came across something in the February 2018 edition of Harper’s in a fictional story by John Edgar Wideman called “Maps and Ledgers”. It speaks to the experiences of children raised in unpredictable environments and it made me rethink a personal essay I’ve written about the year leading up to my father’s death from cirrhosis of the liver. My essay is a good piece of writing but I can’t send it out yet, if ever. Instead, I’m turning it into fiction – semi-autobiographical. It’s not that I’ve abandoned the truth, it’s just that I need to distance myself from the hurt the truth still causes, even after 45 years. It will also relieve the need to include facts, a perfect chronology, and reason. Because hurt isn’t reasonable. This entry was posted in Non fiction, Writing memoir and tagged family history, memoir writing, memory fragments, writing. Bookmark the permalink.